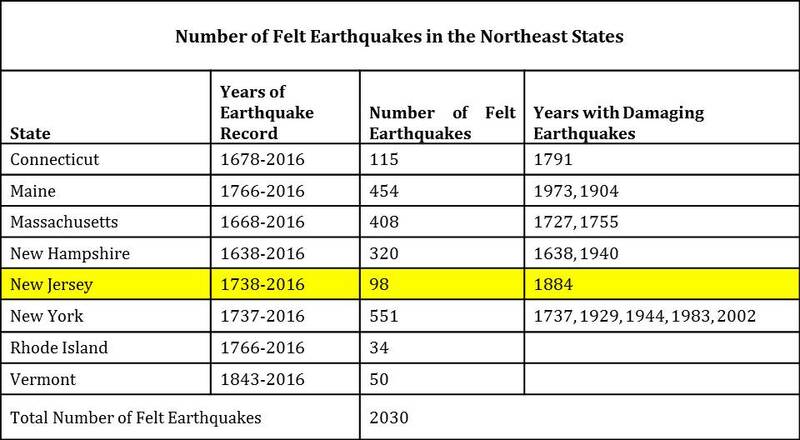 Since historic times New Jersey had occasional small earthquake, most of which have been located in the northern part of the state. 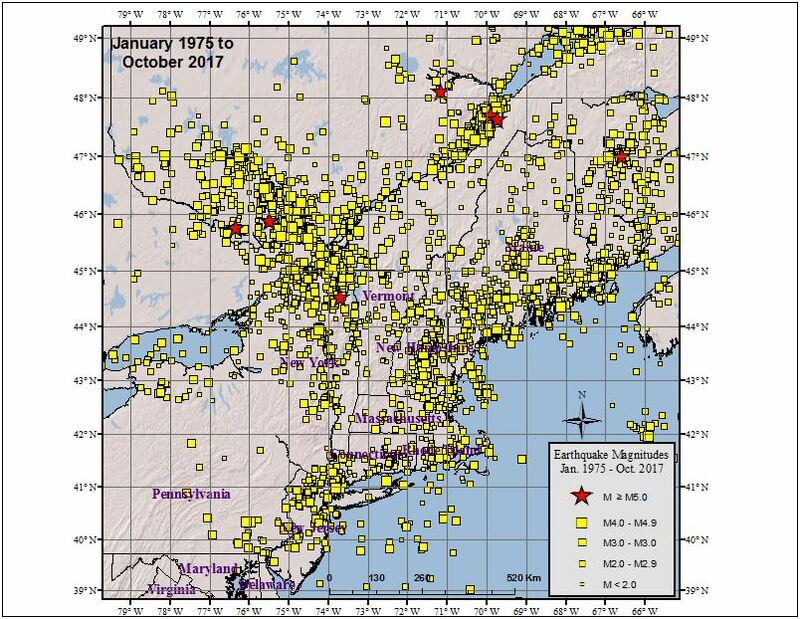 Since the first known earthquake epicenter in the state on November 30, 1783, a total of 98 felt earthquakes have been centered in New Jersey through 2016. The strongest earthquake with an epicenter in the state was a magnitude 4.8 earthquake that took place on August 23, 1938 at 5:04 a.m. This earthquake had an epicenter southeast of Trenton, and it was felt from Jersey City to northern Delaware. Damage due to this event near its epicenter was confined to dishes and glassware that were broken when they were knocked from shelves by the earthquake shaking. Furniture was also moved by the ground shaking. In fact, this earthquake was one in a series of shocks that started on August 22 and continued to August 27. Some of the events approached the size of the largest shock. On February 28, 1973, an earthquake of magnitude 3.9 was centered in the southwestern part of the state near the borders with Delaware and Pennsylvania. The earthquake shaking was strongest in southwestern New Jersey, southeastern Pennsylvania and northern Delaware. There were reports of some minor cracks in plaster and brick masonry in homes in all three states. This earthquake was felt from southwest Connecticut to the Washington, D.C. area. A magnitude 3.8 earthquake on January 30, 1979 had an epicenter near Freehold, NJ. Objects were shaken from shelves and minor cracks were reported in masonry walls in a few towns near the epicenter. This earthquake was felt throughout the greater New York City and Philadelphia areas.